3D printers have always had a certain potential to themselves, however, the technology is capable of doing more than what meets the eye. It can be used in a number of other fields including medicine. Research is currently underway to manufacture 3D bioprinters that will be able to create complex things like human organs. Recently, engineering students created a 3D printer that can produce skin grafts for burn victims. The printer called PrintAlive was developed by University of Toronto engineering students, Arianna McAllister and Lian Leng, working in collaboration with Professor Axel Guenther, Boyang Zhang and Dr. Marc Jeschke, head of Sunnybrook Hospital’s Ross Tilley Burn Centre. The previous treatment for serious burns involved removal of healthy skin from some other part of the body for the purpose of grafting it onto the burned area. Now that the PrintAlive machine is here, it can put an end to this painful method. It can print large, continuous layers of tissue – that include hair follicles, sweat glands and other complexities of human skin – onto a hydrogel. 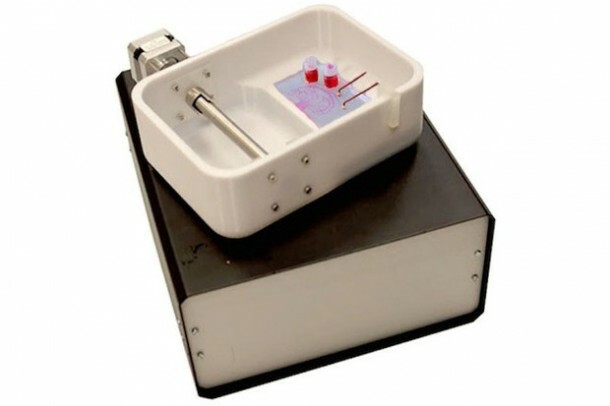 Importantly, the device actually uses the cells of the patient, which thereby eliminates the problem of the tissue being rejected by the immune system. Growing a culture of skin cells for the patient who is ready for grafting, can take more than two weeks typically. Hence the machine prints out the patient’s cells in patterns of spots and stripes instead of a continuous sheet that allows them to grow further. The result – cell populated wound dressing that reproduces the key features of human skin – can be controlled by the user in terms of thickness, structure and composition. The team that has been working on the project since 2008 has accomplished developing a second-generation, pre-commercial prototype which is actually smaller than an average microwave. This makes it portable enough to be carried and has the potential of transforming burn treatments in the rural and developing areas around the world.